"Corporate Survey Company in India"
The Company was incorporated under the Companies Act, 1956 as "Peirce Leslie Surveyors & Assessors Private Limited" on 18 July 2002. The Company obtained IRDAI Corporate Surveyor Licence SLA-72403 to act as Insurance Surveyors and Loss Assessors on 16 Jan 2013. 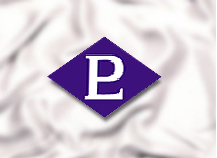 The Company became a Subsidiary of Holding Company - Peirce Leslie India Limited, hence incorporated its entity as Limited Company and acquired Lloyd's Agency Survey Division of the Holding Company. Commensurate with IRDAI Regulation, the name of the Company was changed to "Peirce Leslie Insurance Surveyors & Loss Assessors Limited" in 2013. Main objective of the company is therefore to undertake General Insurance related survey service.